We hear a lot about hormones these days. Estrogen is good for women; estrogen is bad for women. Growth hormone will help you stay young; growth hormone will give you cancer. Hormones make cows get big and tasty; hormones that we give cows are bad for our kids when they drink milk. But what IS a hormone? Why are they important? How do they work? To start with, there are three major types of hormones – peptides, catecholamines, and steroids. Each one is different. But all three are released in response to a signal from the brain (or another hormone), and travel throughout your body in your blood, affecting cells and tissues along the way. Hormones are important before you are born, and until you die. They control how your body develops, and influence your behavior. 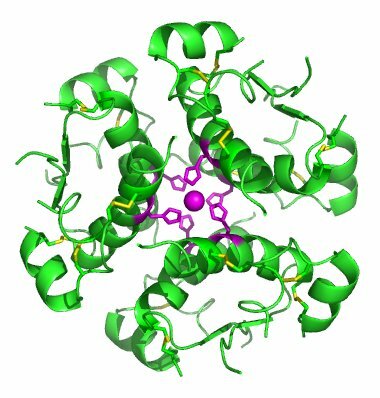 Peptides are proteins – they are produced within cells, and are represented by one gene. 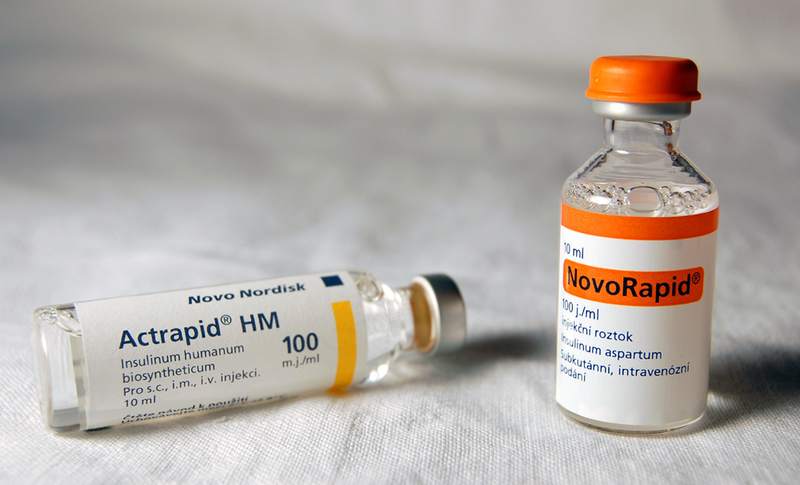 Insulin is a well-known example of a peptide hormone. Peptide hormones bind to receptors on the outside of cells, which results in complex signalling cascades (like a waterfall of biology inside the cell). These cascades eventually influence how DNA is turned into new proteins that will have different effects. Catecholamines are kind of like amino acids, and function a little like peptides – binding to the outside of a cell. Epinephrine and dopamine are examples of catecholamines. Catecholamines can also be important in the brain. Steroid hormones are the third major type of hormone, and perhaps the best known. Testosterone and estrogen are both examples of steroid hormones. Steroid hormones are similar in structure to cholesterol molecules, and in fact cholesterol is a kind of non-hormone steroid. Steroids differ from catecholamines and peptides in that they are able to enter cells. Instead of binding at cell surfaces, steroids can actually go straight to the DNA and have direct effects. There are several more generally important things to recognize. First, the systems within cells that respond to hormones are very complex. Second, individuals vary genetically in how we produce hormones – your genes DO affect your life in many ways. 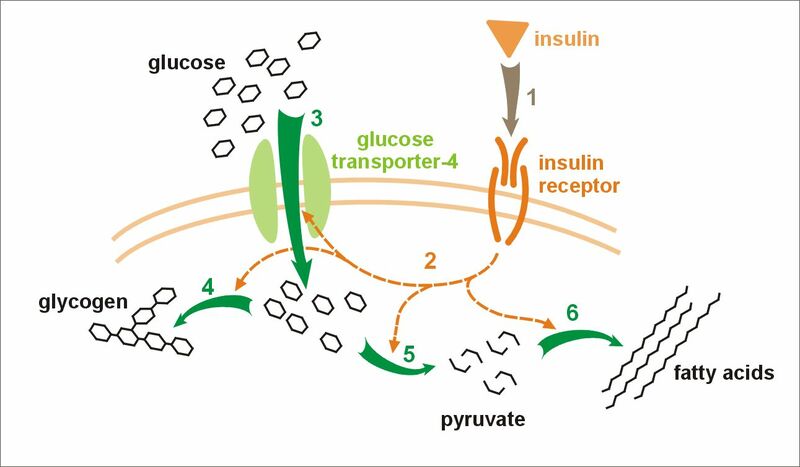 Nevertheless, production of hormones from genes occurs in response to the environment – for example, insulin is produced in response to eating sugar. So what you do in life, what you think, and what you experience influences your hormones, which then influences your physical body. Hormonal systems are complicated and can affect each other. If you have a disorder that is characterized by low levels of a hormone, it can be difficult to figure out exactly what’s wrong – do you produce too little, does your body break it down extra fast, or is something else going on? Finally, there are other types of signals in our bodies – for example, ‘neurotransmitters’ work somewhat like hormones, but are in our brains. ‘Cytokines’ are another important signaling molecule that is especially common in immune function. How hormones influence our outward traits, or ‘phenotypes’ is a complicated question, but hopefully this is enough of a background allowing readers without a background in biology to understand mention of hormones in future posts. Butterfly season is over and it’s getting cold out, although I did just see a cabbage white flapping around erratically when I was walking to work this morning. Despite the troubles we had early on in the summer with butterflies dying, we did manage to collect some good data. More importantly, I think that we worked most of the kinks out of our experimental design so next year should go much smoother. Now that I have the time, I’m going to sit down and try to explain my research project, and why I am doing it. The explanation will take 3 posts, so I can take my time explaining the concepts to interested folks who are not biologists. One of the basic concepts underlying my research is that of a trade-off. A trade-off occurs when an organism wants to do two different things, but has a limited amount of some important resource. The resource could be time, calories, vital nutrients, or many other things. A simple example from everyday life would be trying to buy both a television and a bike with a limited amount of money. You can’t afford an expensive television AND an expensive bike. Instead, you have to choose between a cheap television and an expensive bike, a cheap bike and an expensive television, or a moderately priced bike and a moderately priced television. You would ideally want both an expensive bike and an expensive television, but you are limited by a resource: money. Trade-offs in biology work similarly, but often the mechanism or the resource are not fully understood. This would be like seeing someone with a cheap bike and an expensive television, but not knowing WHY they have a cheap bike. You can guess that they have a cheap bike because they have limited money and want a nice television more than they want a nice bike, but you can’t know for sure. To biologists, this often takes the form of the observation that species rarely exhibit ‘perfect’ combinations of traits that are evolutionarily important, such as lifespan and reproductive rate. Some species, such as elephants, are very long lived, but reproduce very slowly (see Figure 1). Other species, such as mice, reproduce extremely rapidly, but are also short-lived. Slow reproduction with a short lifespan is clearly not a good strategy, and should generally not evolve. Conversely, an ideal combination from an evolutionary perspective would be to live a very long time and also have lots of kids really fast*. Nevertheless, this is rarely seen in nature. Biologists generally agree that this pattern means that there is some cost to reproducing rapidly, and therefore species that reproduce rapidly will not live as long. There are many other examples of traits that are similar involved in trade-offs, such as brain size, muscle strength, and growth rate. Essentially, any trait that is important in fitness but requires some limited resource will likely exhibit trade-offs. The same patterns are generally seen within species as well, but individual trade-offs are often less consistent within species than they are among species. The specific ecological considerations of individual species may play a role, or it may be because there is simply more extreme variation among species compared to within species. In other species, some individuals may simply have access to more resources than others, meaning that despite the potential for a trade-off if resources are spread evenly across individuals, no trade-off is apparent due to inequalities among individuals. Someone who makes more money than you gets to have both an expensive television AND an expensive bike, avoiding the trade-off. In my next post I will talk about how hormones influence traits within species, and then finally I will bring together the ideas I’ve presented within the larger framework of my current research. 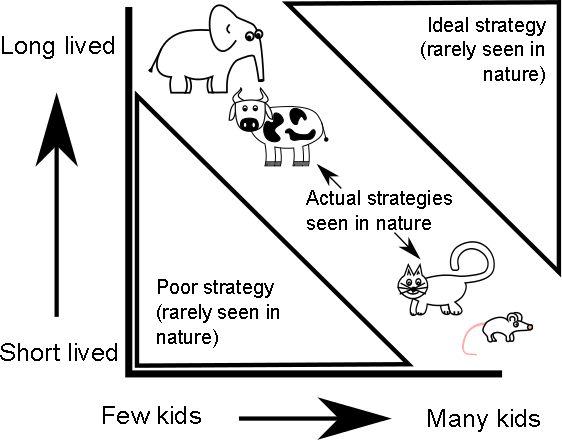 *There are some persuasive, but more complex considerations that I’m not covering here – for example in some cases longer-lived species may benefit disproportionately from intensive parental care, which may itself trade off with offspring number. However, the idea of a trade-off being responsible is widely accepted, and therefore I will not discuss these other possibilities further.